Spiraling up the hotel’s four floors, the staircase originally served as a gathering place and was the epicenter of communication between floors. 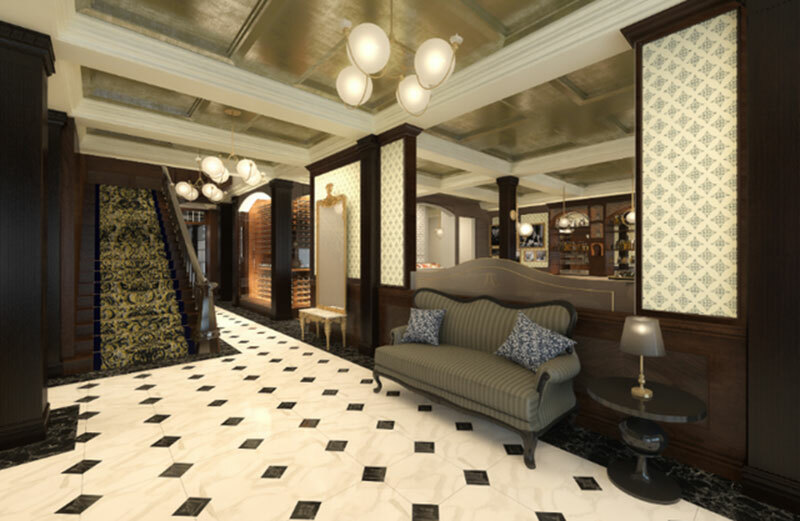 It’s sculptural elements have made it a visual focal point of the lobby even as the entrance has been moved over the hotel’s 140 year history. The decision to restore the staircase stems from not only its historical significance but also its beauty. When renovations began, the team planned to leave the staircase in place and simply adjust the hand rail height. 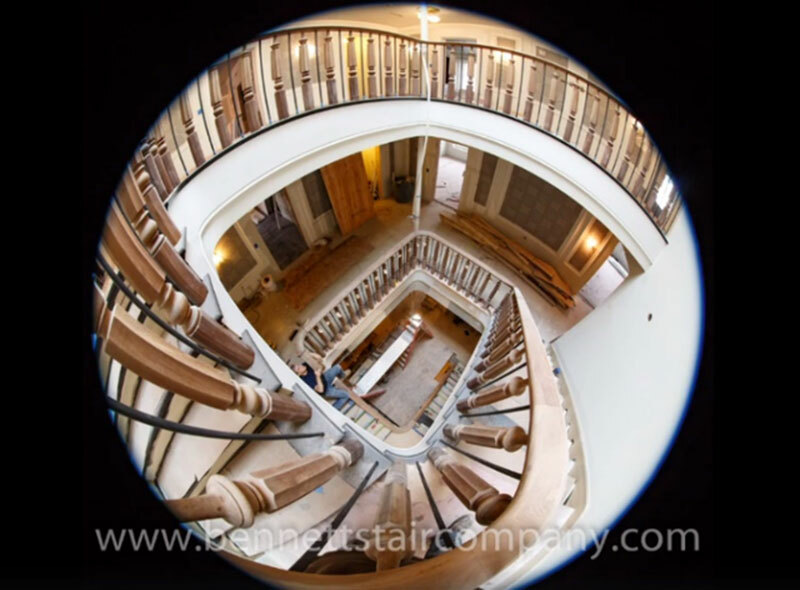 Like other parts of the renovation process, the staircase restoration was not that easy. To bring the staircase up to code, the hand rail needed to be raised roughly 5 inches higher and the gap between spindles reduced. Architect Dominick Ranieri and Bennett Stair Company crafted a solution that not only brought the staircase up to code but also maintained its historic integrity. Each piece of the original black walnut bannister was photographed in place, removed, and numbered for reassembly. The hand-turned spindles then went out to have new bases crafted identical to the originals that would raise the height of the handrail to 34 inches. Black steel rods were added between spindles to close the too-large gaps and look right at home with the overall aesthetic of the staircase. Like many other parts of the building, structural reinforcement was needed and so each tread was recreated out of pine and the underside of the staircase was reinforced with steel. After an eight month restoration process, the grand staircase has been returned to its former glory. The changes and reinforcements made will help these stairs last another 140 years. Skip the elevator and admire the beauty and craftmanship of the staircase when the hotel opens.